Square tiles are placed around a rectangular pool (in blue). How many of these square tiles are needed? 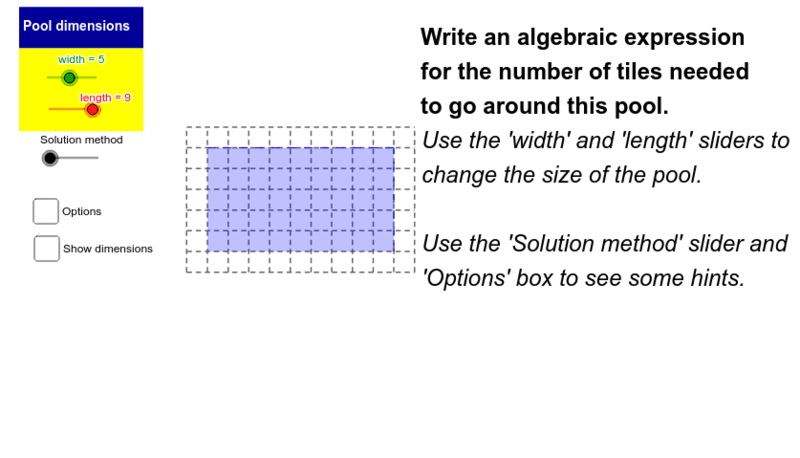 Write an algebraic expression for the number of tiles needed to go around the pool. How many tiles are needed to go around a pool with dimensions 120-by-150? How about x-by-y?